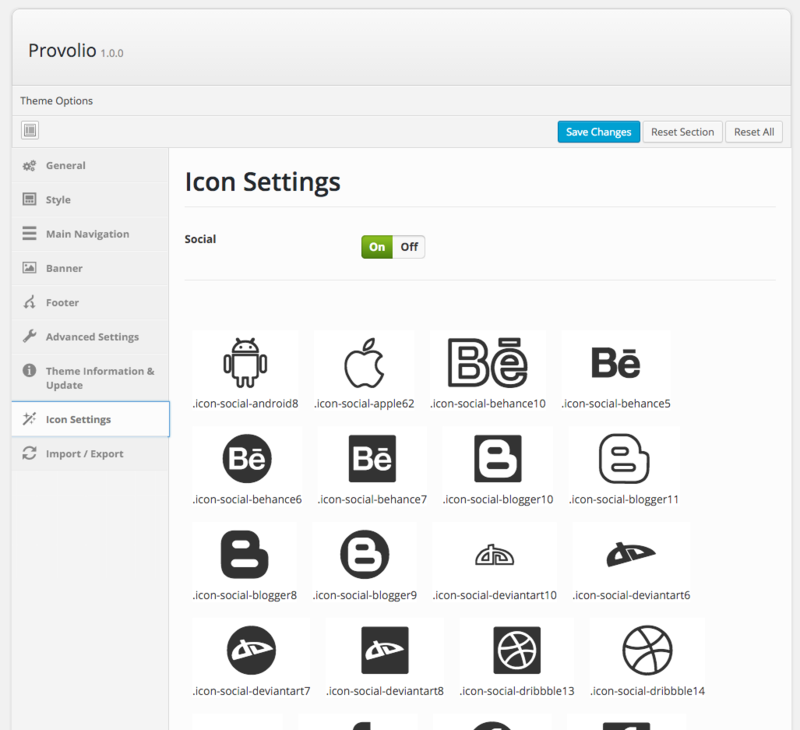 Step 2 – Browse the icon and select an icon class name. Icon class name will be displayed on bottom of icon. Copy the icon class name. from Screen Options panel ( at the top of Menus page ) by ticking it. Step 5 – Enter icon-name copied before in step 2 ; in example icon-social-android8 ( without quotes ) into CSS Classes field. Step 6 – Navigate to Theme Options > Top Bar Settings > Select Left or Right Section > Type Of Element, select Icon from Menu.